Barcelona could reportedly be busy in the January transfer window as up to five first-team stars are said to be at risk of being axed. On one hand, it could be argued that it’s a risk for the Catalan giants in terms of losing too much depth. However, given the lack of playing time four of the five names mentioned below have had, it shouldn’t adversely affect them. Further, perhaps the thinking behind it is that they will ultimately be creating space in the squad and raising funds for their own transfer plans in the summer. According to Mundo Deportivo, the five players who could be sold in January are Denis Suarez, Rafinha, Munir, Sergi Samper and Ousmane Dembele. It’s suggested that Dembele is the most questionable one of that quintet, as his future at the Nou Camp will essentially hinge on the attitude and approach he has in the coming months with question marks being raised over his professionalism in recent weeks. In turn, it remains to be seen if Barcelona see the change that they desire in the Frenchman, if not, then perhaps he could be joining his teammates mentioned above in going through the exit door as it’s suggested by Mundo Deportivo that they could then listen to offers. Meanwhile, one other piece of transfer news in the report notes that Barcelona haven’t entirely ruled out making a signing in January to bolster their defensive line. 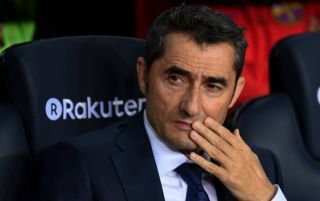 It comes amid ongoing concerns over Samuel Umtiti’s injury status, as after being cleared to play prior to the international break after suffering a setback with a knee injury, he didn’t feature in the defeat to Real Betis and so coach Ernesto Valverde is perhaps still being cautious. With that in mind, shoring up the defence for the second half of the campaign might not be a bad idea, especially considering Barca have conceded 18 goals in just 12 La Liga games, giving them the worst defensive record of the top seven sides.